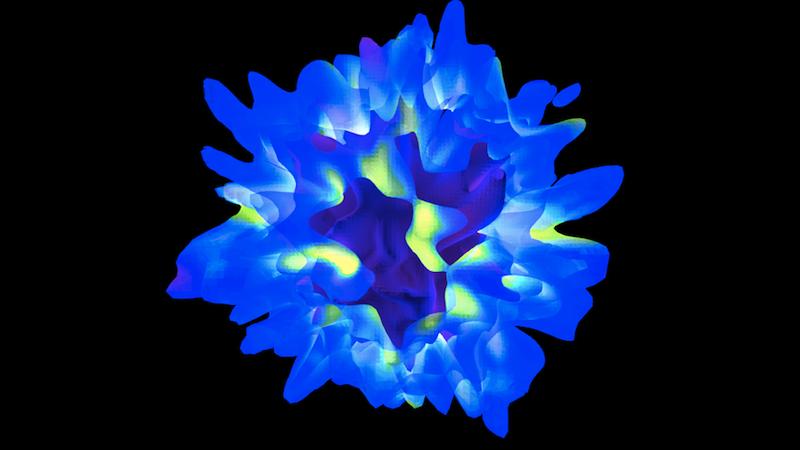 Most of my current interests revolve around the development of AstroBlend and ytini, both Python libraries for 3D interactions, analysis, and visualization of scientific observational and simulation data. ytini is a series of data readers and Python scripts to make importing scientific data into the special effects software Houdini a bit easier. We've recently developed some preliminary methods for treating Adaptive Mesh Refinement data, and a full tutorial on this topic can be found on the ytini website. Paper detailing methods to follow shortly. AstroBlend is geared towards being accessible to scientists as well as 3D artists. Below is a video showing a short test of using AstroBlend to visualize astronomical data, simulations, and artistic models. Images made by ytini, AstroBlend, and other methods. Click to learn more. Image made with AstroBlend of gas inflowing around a simulated galaxy, colored by temperature. Learn about the data in this image here. Learn how to make this image in tutorials here and here. Another tutorial is featured on the yt website right here. Check out this same model in 3D and VR with Sketchfab. Learn how upload this model to Sketchfab in the tutorial on the yt website right here. 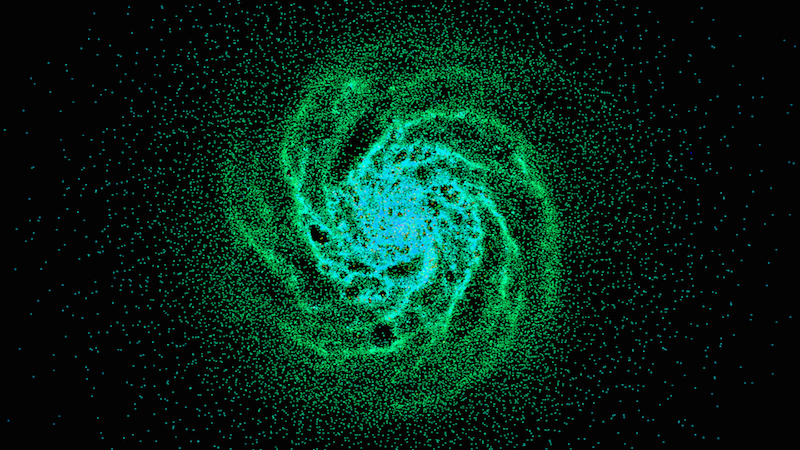 Image made with AstroBlend of gas particles in a simulated spiral galaxy, colored by temperature. Learn how to make this image in a tutorial here. Merging galaxies movie accompaning this paper on central supermassive black hole accretion during these events. Data of this simulation were generated for this paper. Learn how to make this movie with the AstroBlend tutorial right here. .. or check out a lower resolution 3D/VR movie of the entire simulation with Sketchfab. Annotated isodensity surfaces for an upcoming paper in 3D and VR available with Sketchfab.